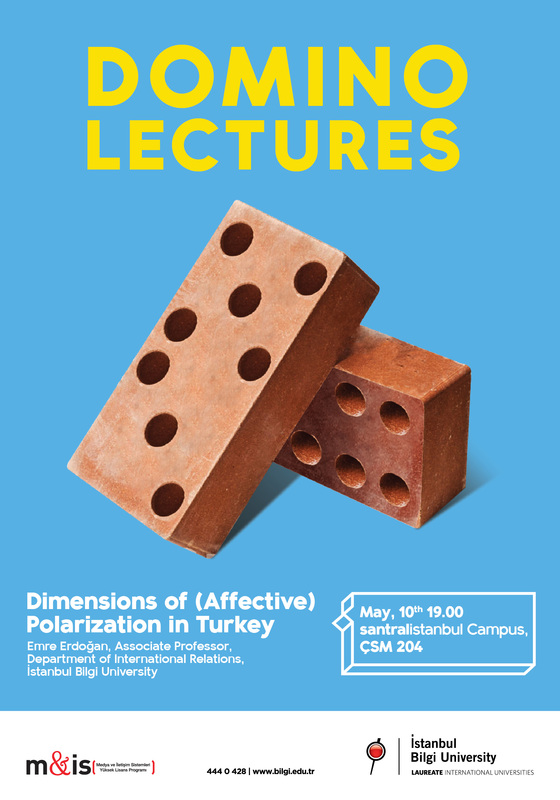 BİLGİ MA in Media and Communication Systems cordially invites you to attend the Domino Lecture by Emre Erdoğan (Associate Professor at the Dept. of International Relations, İstanbul Bilgi University) titled “Dimensions of (Affective) Polarization in Turkey”. Date: Thursday, May 10th, 7 pm. Venue: santralistanbul Campus, ÇSM 204.